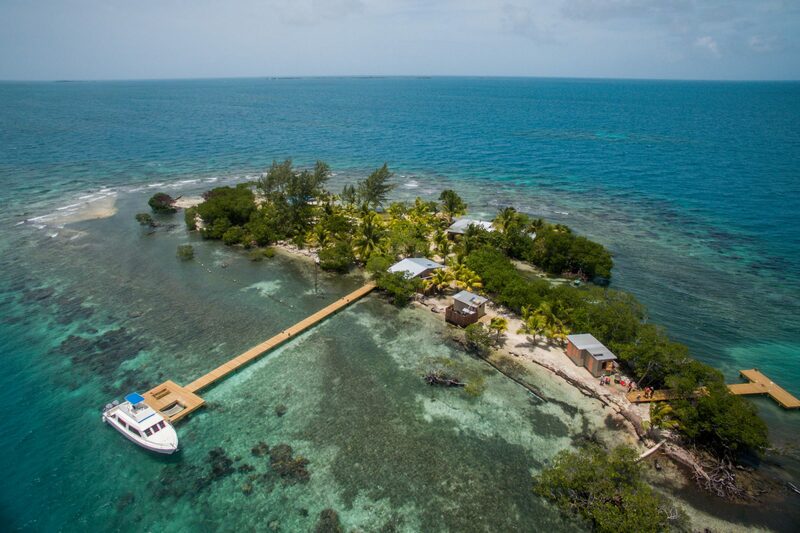 If you’re looking to immerse yourself in nothing but the Caribbean blue seas, however, the Coppolas’ Coral Caye is the perfect place. 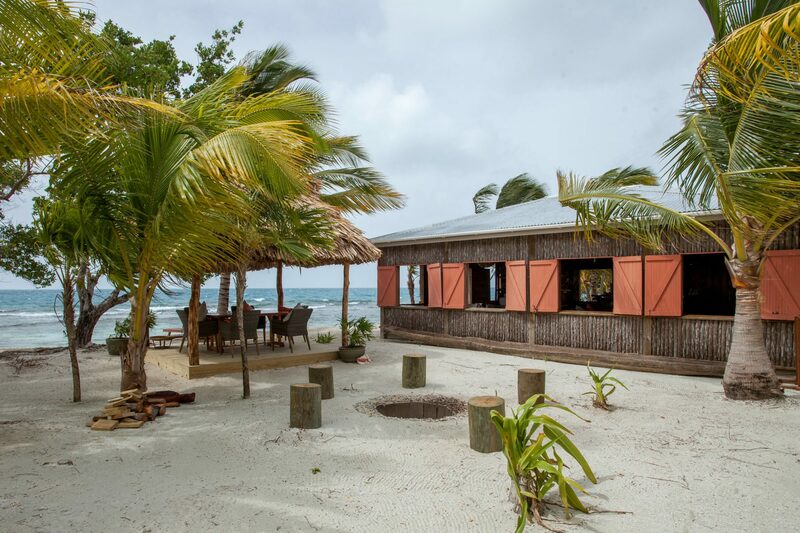 Part of the Coppolas’ Turtle Inn resort on the Belizean coast, Coral Caye is a private island outfitted with two cottages and an open-air living and dining space. 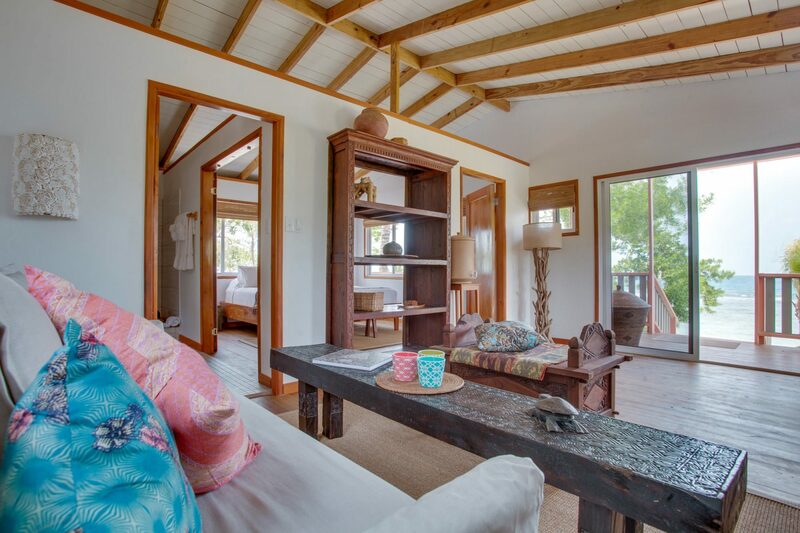 Just 20 minutes from mainland Belize, the island, once a commercial fisherman’s camp, was converted into a charmingly rustic vacation rental in 2016. 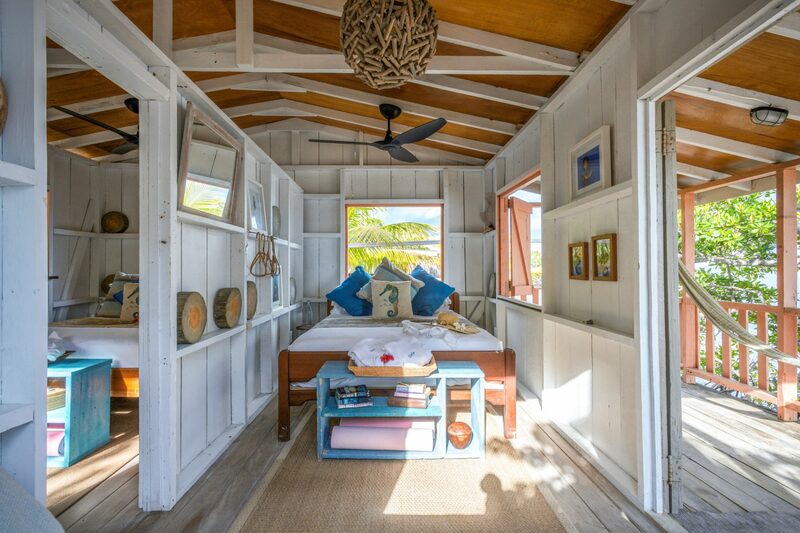 Inside each cottage, décor was chosen, as the website says, to suit “the untouched nature of your surroundings.” Warm woods, flowy fabrics, and pops of seaside-inspired color dress the interiors. 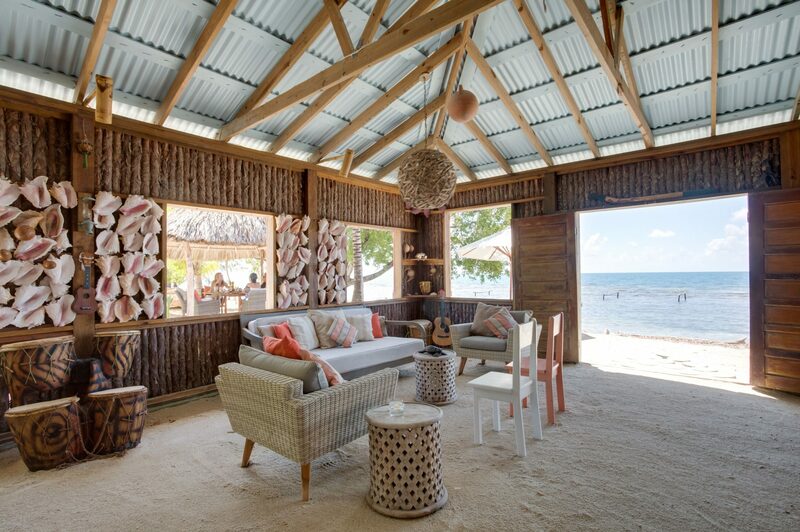 The no-frills, kick-your-shoes-off vibe extends to the communal living area, which features a bamboo bar, sandy floor, and accent wall lined with conch shells. Elsewhere on the property’s two acres, guests have free reign of two docks, canoes, hammocks, a coral sand beach, and snorkeling just offshore. 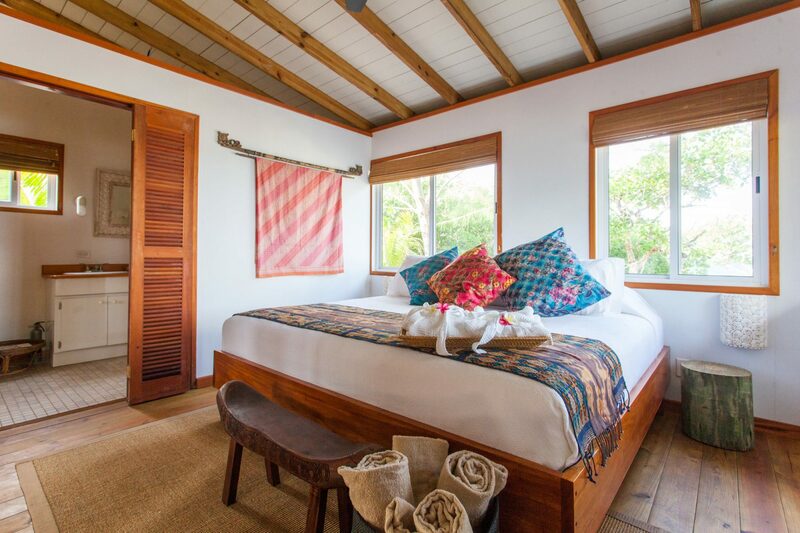 But while Coral Caye is designed to bring visitors a Robinson Crusoe-like experience, vacation comforts and luxurious perks are aplenty. Stays come with the services of on-call caretakers, who not only assist with any questions but also will be on-hand to prepare fresh Caribbean-inspired meals three times per day. 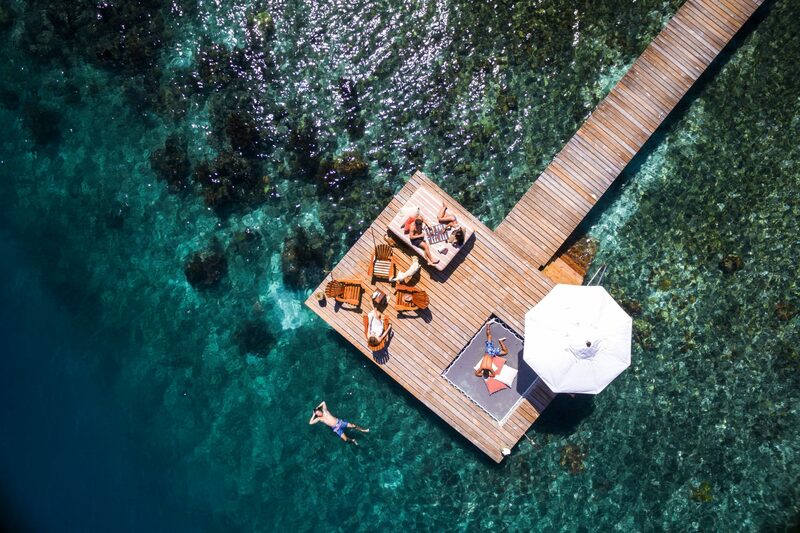 And those looking for even more frills—think private on-island spa services or diving excursions—can upgrade their vacation packages easily.